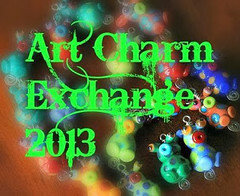 The eBay auction for my 412 Bead Extravaganza is now over and the beads have a new home. Whatever the outcome of an auction, I'm always in a better mood once they've ended. At it's core an auction is really all about drama and I hate drama. I'm a read-the-last-chapter-first kind of girl. I like to know if all the fuss is going to be worth it. There's so much in life that we have to roll with that I like to have a pretty strong grip on the rest, at least without driving everyone around me insane. Yet. 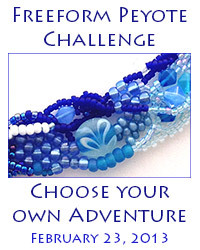 Nonetheless, eBay auctions are a great opportunity to give bead stashes a new home, so Yay! 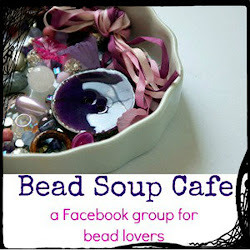 The beads are going to live a happy life with the lovely and talented Ashlee from Get Wired Jewelry. I'm really excited to peek and see what she makes! 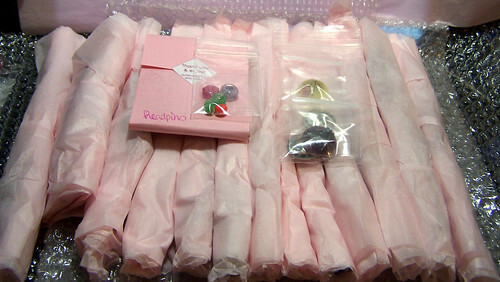 All the beads carefully wrapped in tissue to prevent scratching. I put the headpins in corrugated cardboard sections to make sure the metal doesn't get damaged. Getting ready to wrap up the small packages into one large tissue-wrapped bundle. Wrapping the bundle in layers of bubble wrap. 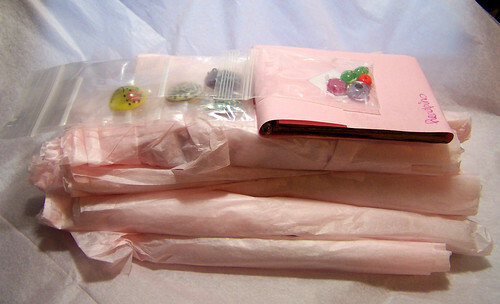 And the bubble-wrapped bundle is carefully packed into a snug (ThinkGeek.com!) box. The bubble wrap package adorned with a message of appreciation! Thank you, Ashlee!